Safety And Security And Other Services And Assistance Available At Station. The following Garda may be assistance to you. Community Police Sergeants Kevin Toner and Pat Dunne. After the R.I.C. 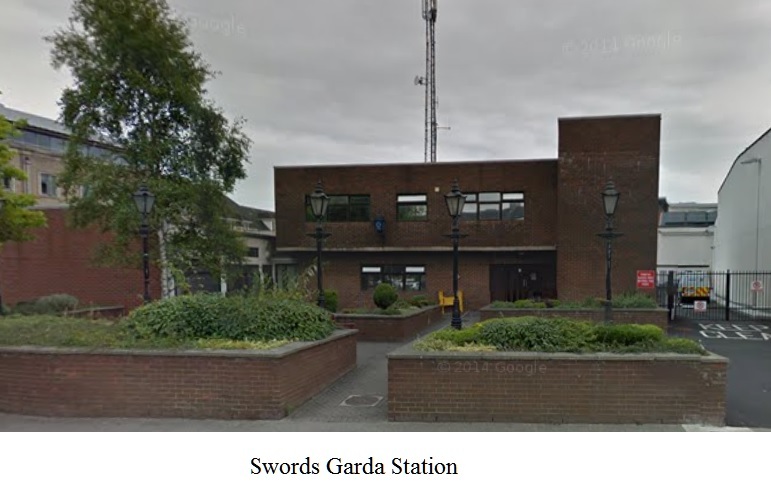 disbanded, the first ''Garda'' station to be established was in the town of Swords. They got their training at Collinstown Aerodrome. [ Dublin Airport ]. During the civil war in Ireland airplanes from Collinstown were used to transport mail to Aldergrove in Northern Ireland. By 1922 the service ended as the road in the Phoenix Park was seen as a better option as it was closer to Dublin City, at that time Collinstown was a rural area with a poor road from the city. At the time of the civil war there were still R.I.C. and British army men stationed at the Airport. They had been there to hold German prisoners of war from W.W.1 who numbered over 600. When the first world war ended operations were transferred to Cambridgeshire in England.